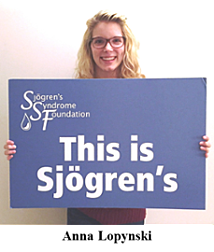 With the New Year approaching, we at the Sjögren's Syndrome Foundation (SSF) are proud of all that has been accomplished in the past year for Sjögren's patients. We want to share with you a few of the highlights from 2016 that were made possible by your support! In 2016, the SSF continued our lead in getting new therapies developed to help treat Sjögren’s. In the history of Sjögren's, there has never been so much interest in developing a therapeutic for Sjögren’s. 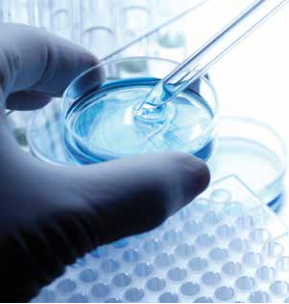 There are currently nine companies that have shown an interest in developing a therapeutic for Sjögren’s. Each of these companies are looking to enter or have entered clinical trials in Sjögren’s. The SSF is actively engaged with these companies, as well as the U.S. Food & Drug Administration and other regulatory agencies, to ensure that the patient voice is captured throughout the entire drug development pipeline. This includes discussions concerning what patients want from a therapeutic to discussions about clinical trial design. 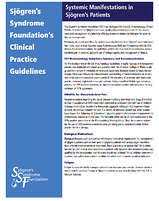 The SSF continued to expand our awareness and education campaigns throughout 2016 with the goal to not only increase awareness about the disease but also encourage healthcare providers to become more educated about Sjögren’s and its numerous complications. The ways in which this was done included adding to our patient resources; introducing new educational opportunities for patients; continuing to support, train and grow the Awareness Ambassador program; hosting more than 175 support group meetings around the country and offering a superior National Patient Conference. We at the SSF are grateful for all your support and what you have helped us achieve this past year, but we are most proud of each and every Sjögren's patient as they inspire and amaze us in their fight against this disease. As 2017 quickly approaches, we know you have many options when it comes to your year-end giving. That is why we would be extremely grateful if you were to help us reach our goal of raising $12,000 by 12 midnight on December 31st by making a donation today to the Sjögren's Syndrome Foundation. Your gift will provide critical funds to further our research, education and awareness efforts as well as help make a difference in the lives of all Sjögren's patients. We are truly thankful for every gift we receive. Together, we can transform the future of Sjögren’s!